The ultimate responsibility for a forged check rests with the criminal. Until the perpetrator is caught the laws regarding forged checks and liability tend to place the onus on the banks. However, that’s not always the case. If you’ve had forged checks written against your account you may have to provide some indication the latest one didn't happen because of negligence on your part. A national bank generally must reimburse customers for forged checks drawn against their account, the U.S. Department of the Treasury says. Banks are supposed to have measures in place to detect forgery and the ability to recognize the signatures of their customers. Therefore, a forged check that a bank paid is presumed to be the bank’s mistake and it's considered liable for returning the funds to their rightful owner. If the bank can prove it accepted the check in good faith and performed due diligence in handling the transaction, it may claim that it's not liable. You may be held at least partially responsible if you contributed to the forgery by issues such as carelessness. For example, if you lost your checkbook a month ago and failed to report it, your bank may balk at paying the number of forged checks that resulted. While a forged check may not be your fault, you're still responsible for examining your statement and catching unauthorized access to your account. In fact, while many banks will take responsibility for one checked forged if notification is provided within 12 months, they will not take responsibility for multiple forged checks if they are not notified within 30 days. 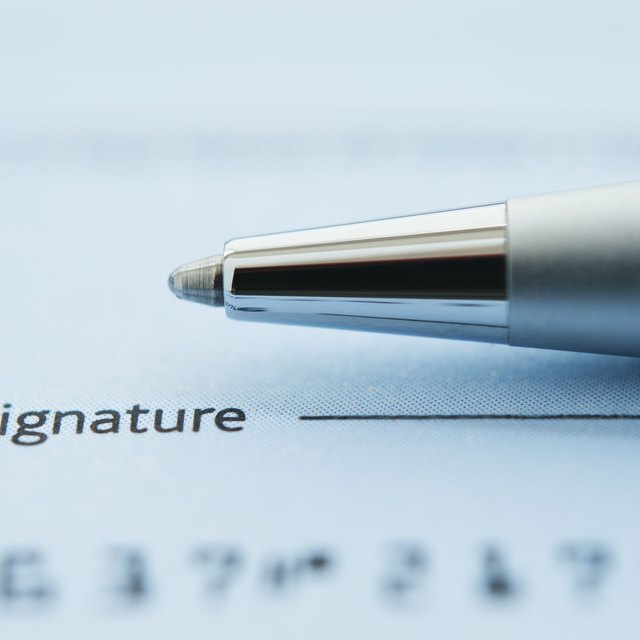 If someone has given you a forged check and you've deposited it into your account, the bank can later reverse the deposit and remove the funds if it finds out the check was fraudulent. In that case, depending on the laws in your state and the circumstances of the deposit, you may be out of luck. Be particularly wary of those who deliberately write you a check for more than they owe and ask you to refund them the difference. That can be a doubly costly scam as you receive a fraudulent check and give away your own funds as well. If your bank resists making good on a forged check written against your account, don’t be afraid to complain. Speak to a manager or someone in the bank’s leadership outside your branch. If that doesn’t work, try the Federal Reserve and the Treasury Department's Office of the Comptroller of the Currency. They may get the results you want. Bankrate.com: Am I Stuck Paying Bank's Forgery Foul-Up?